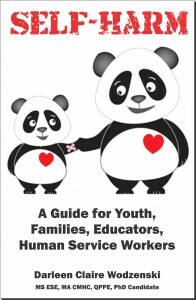 Self-Harm: Guide for Youth, Parents, Educators, Human Service Workers – Orchard Human Services, Inc.
Our “Self-Harm: A Guide for Youth, Families, Educators, Human Service Workers” is a practical and serious but upbeat set of resources for a serious challenge. Self-harming, sometimes referred to as self-mutilation, is behavior exhibited by individuals and youth who are unable to cope with overwhelming life situations. Learn what self-harming is all about … and what to do if you suspect your child or teen is engaging in this dangerous behavior. This guide also provides a gentle way for youth who are self-harming to communicate what is going on with parents or teachers to reach out for help. Parents and youth are able to use this book as a tool for communication, finding resources, and moving toward healing and recovery. This book is available in different places depending upon your choice of format. “Self-Harm: A Guide for Youth, Families, Educators, Human Service Workers” is available in Kindle format at Amazon. The book is available here at Orchard Human Services in PDF format. The book can be purchased by going through a Paypal checkout … and clicking on the “Return to Merchant” link on the bottom of Paypal’s payment confirmation page. 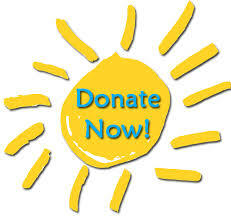 The link will redirect you back to Orchard’s website, to a special page with a PDF download link.